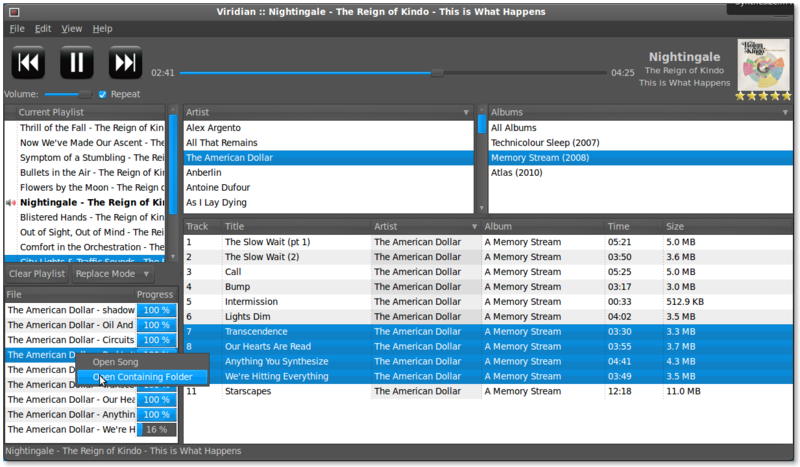 Viridian is an Ampache Client that displays all of your media from your Ampache server in a simple and convenient way that makes choosing and streaming music an easy task. Open source. Feel confident in the code you execute. Note: Viridian is for Linux/Unix only. 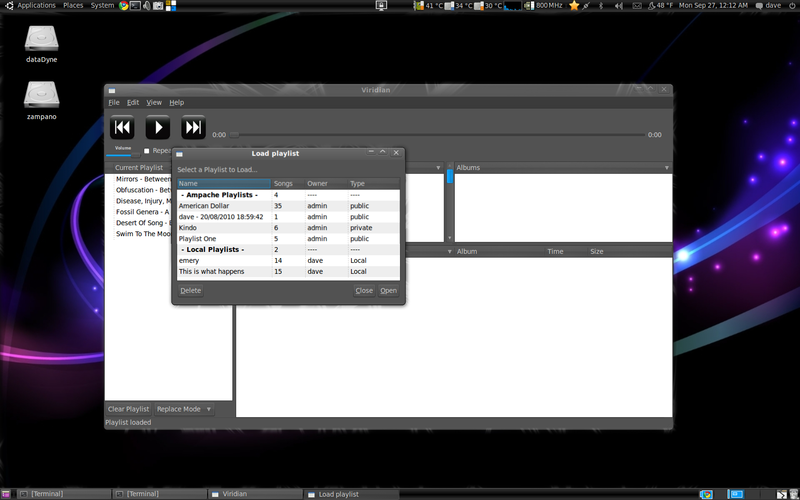 It might be possible to run it on Windows/Mac if you can get python/pygtk running on them. 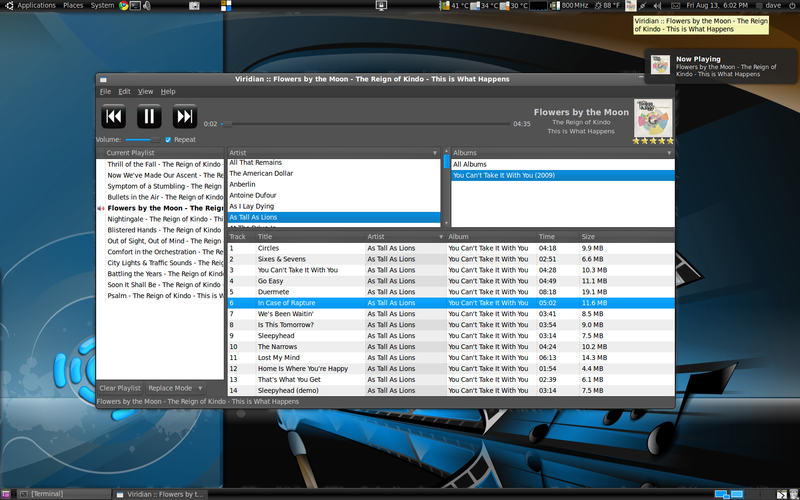 Older versions can be downloaded from the launchpad project site on Launchpad. 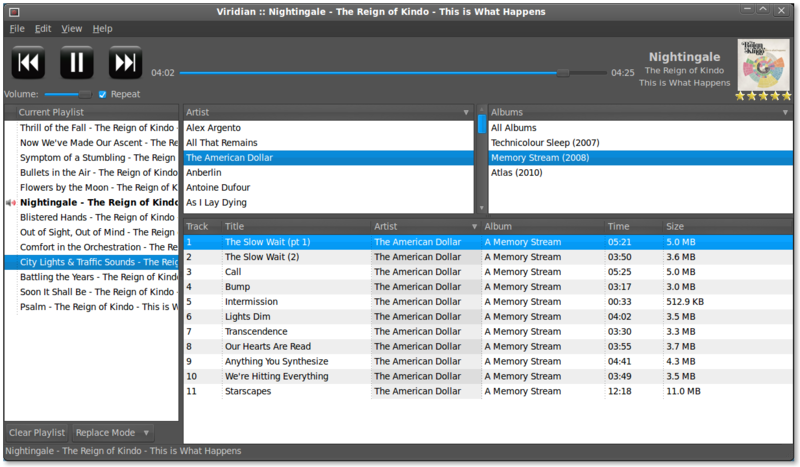 Viridian depends on gstreamer to stream the music from the server. 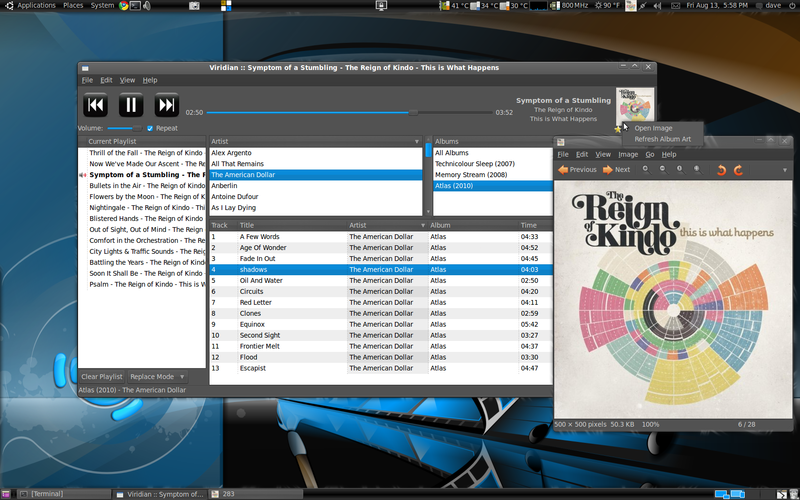 This means that it relies on gstreamer to have the proper codecs to understand how to play each file Ampache might have. 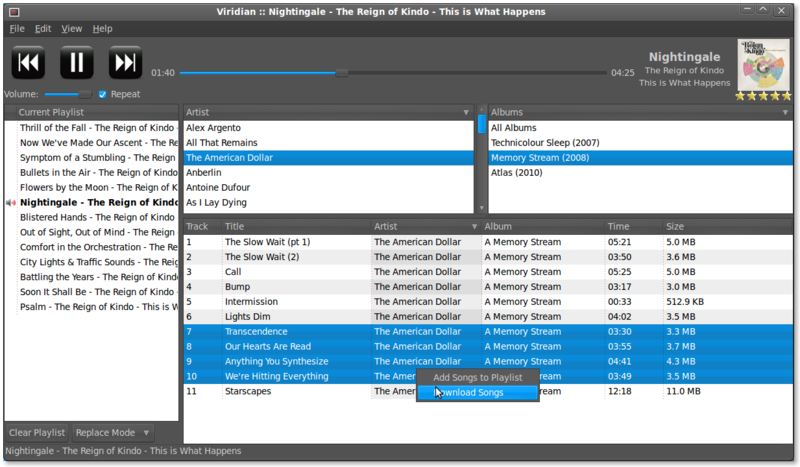 If you are on a fresh install of Ubuntu, you will need to download gstreamer plugins for Viridian to work as expected. 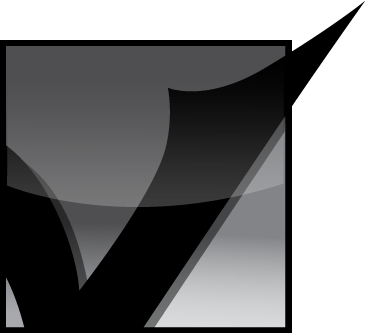 Viridian was written and tested on Python 2.6. 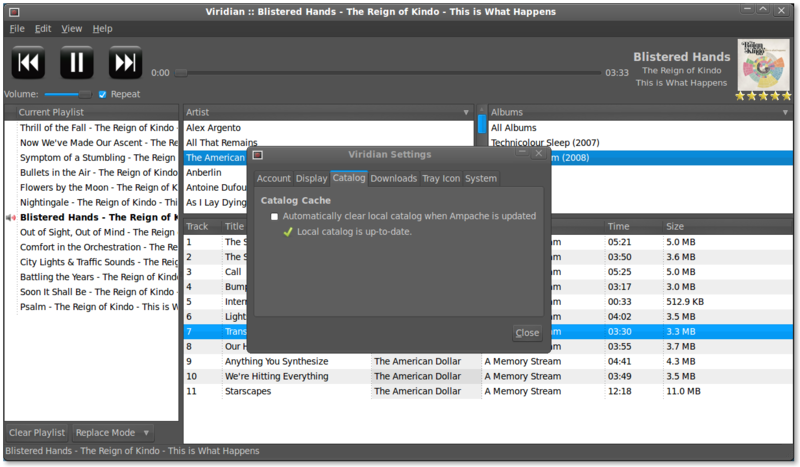 Install the mp3 extras when you install the OS, or find them in the software center.